Eliminate foul odors from your AC safely and easily! Do you have an odor within your vehicle you would like to safely and permanently eliminate? The Klima Cleaner ETU will locate the source of the odor and eliminate it easier than it's original counterpart, the Nextzett Klima Cleaner Pro. ETU quickly scrubs the AC's evaporators core surface killing the actual cause of the odor instead of just masking it. At the same time, it will add a pleasant scent that you'll enjoy every time the AC is on. 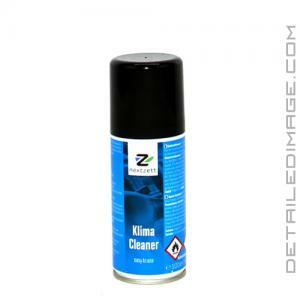 Nextzett Klima Cleaner ETU is incredibly simple and easy to use by anyone. You will NOT have to insert tubes, remove pollen filters, or worry about damaging the air conditioning system of any automobile. Simply place the ETU on the floor near the air conditioner return, which is usually below the glove box, then turn on the air conditioner. Now just activate the ETU, close all the doors and windows, and wait 5 - 10 minutes until the can is entirely empty and you're done. This outstanding cleaner will have circulated throughout the entire system removing foul odors and adding a light and pleasant scent to the vehicle. At the same time it will disinfect the system so it's healthier and safer for you personally. So if you want to remove any foul odors this is the safest and easiest way so look no further than the Nextzett Klima Cleaner ETU. Nextzett Klima Cleaner Easy to Use is a simple, fast and effective spray for removing odors from the interior of the vehicle while also cleaning the air conditioning and ventilation system. Unpleasant odors caused by bacteria and fungi are neutralized, rather than just covered. Instructions for use: Vehicle should be occupised. For best results, clean interior including vacuuming and replacing the cabin air filter as needed. Place Klima Cleaner ETU can in the center of the car (we recommend the floor area between the front and back seats). The spray button is locked and the can will empty automatically. Open doors and leave open for about 15 minutes to air out.